You can also customize the background fabric in flax beige, navy blue, dark gray or white. Choose the Cane Corso in black, navy blue, grey, dark charcoal gray, orange, white or ivory. Natural ears are shown. If you'd like cropped ears, make a note at checkout. 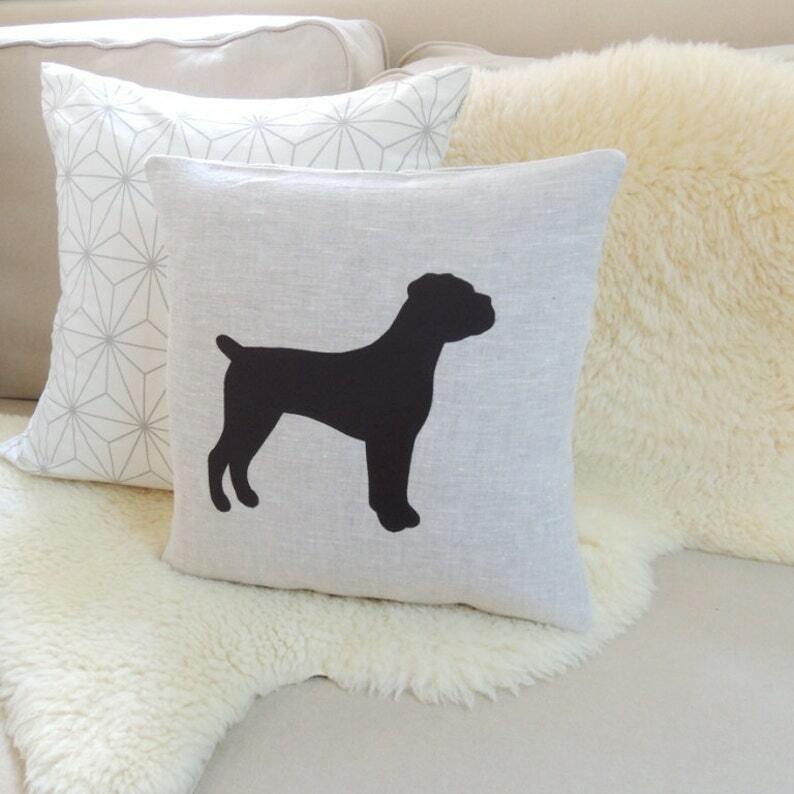 Cane Corso Silhouette Pillow Cover © Vixen Goods. All rights reserved.